Almost all major faiths define a realm that exists after this life. 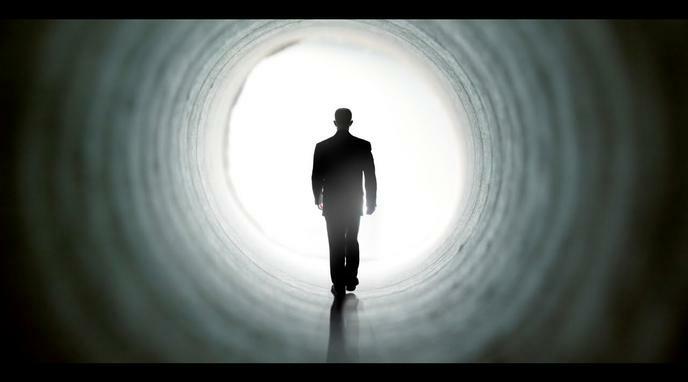 There is no empirical evidence to suggest the absence of an afterlife. Many individuals have out-of-body/near-death-experiences and return to life with knowledge and languages that they could not have known, proving that consciousness exists outside the body. The deceased frequently leave signs that they are among us and watching out for us. It would be foolish to assume death is the end. Psychics, mediums, and paranormal investigators frequently interact with the dead. Even if some are a hoax, if even one is real, it should be considered evidence of life continuing after death. Souls are not real because a "soul" is a completely redundant explanation for functions of the mind which already have a known explanation - the brain. Therefore, there is nothing to persist after death once the brain is irreparably damaged. Our consciousness and what we consider ourselves is the result of chemical reactions that take place in our brain, nervous system and body in general. Once we die and start decomposing there is nothing that can produce those reactions. There is no empirical evidence that life exists after death. Souls are not real and are only based on thought patterns of consciousness that will eventually cease to exist. Souls are simply man's creation to give people purpose and are not real. Near death experiences are hallucinations and the side effects of medicines that should not be considered as proof that the deceased did return from the afterlife.